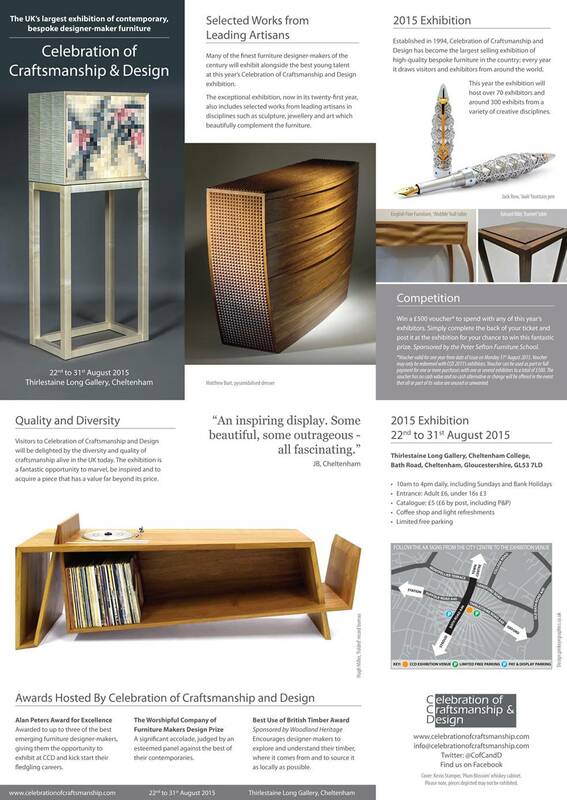 RG Fine Furniture has been selected to exhibit at Celebration of Craftsmanship and Design from 22nd – 31st August. This exhibition is a showcase for the finest craftsman from the British Isles and I hope you may be interested in visiting and seeing my latest work. I have included an e-flyer and you can find more information or buy tickets and catalogues online at www.celebrationofcraftsmanship.com.